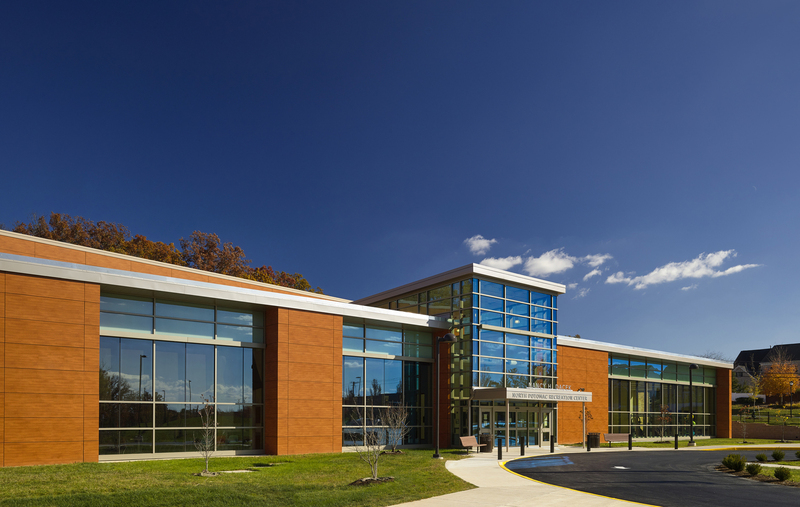 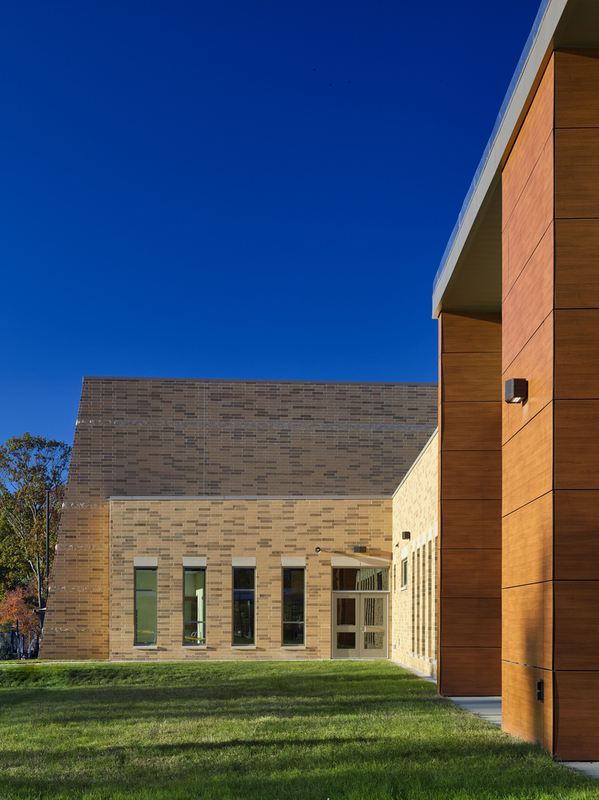 Surrounded by an abundance of preserved natural wetlands, the Nancy H. Dacek – North Potomac Community Recreation Center provides recreational and leisure activities for Rockville’s flourishing community. 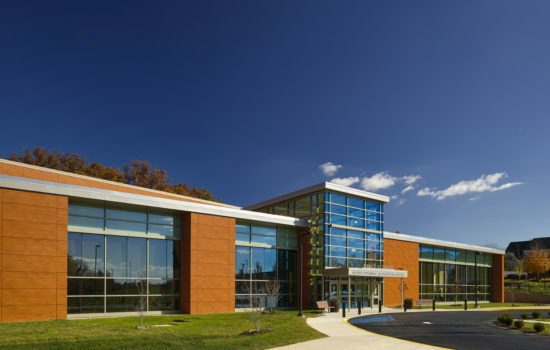 Named in honor of the late Montgomery County Council and Board of Elections member, Nancy H. Dacek, who was a strong advocate for the environment, the center extends into the site’s natural habitat providing a myriad of sustainable features such as an organic multi-purpose field and vegetative green roof. 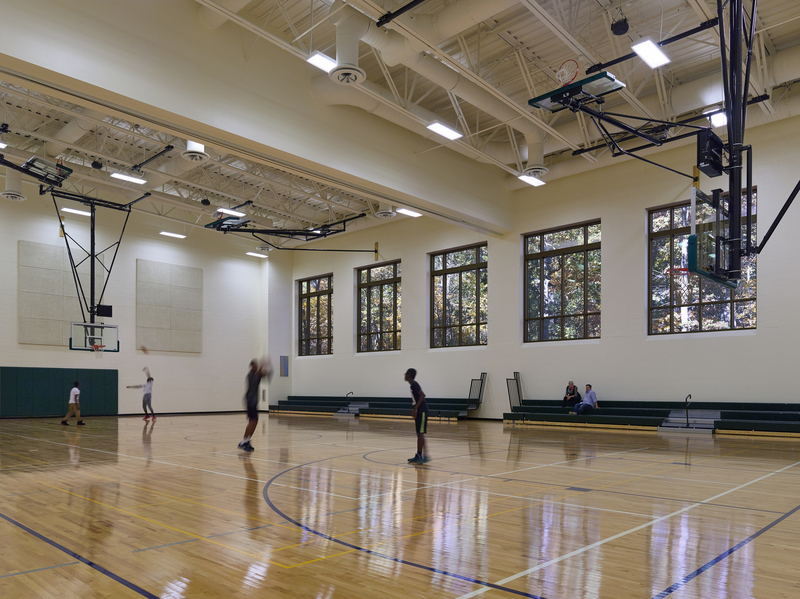 Large windows allow daylight to pour in while visitors enjoy views of Big Pines Park and local landscapes. 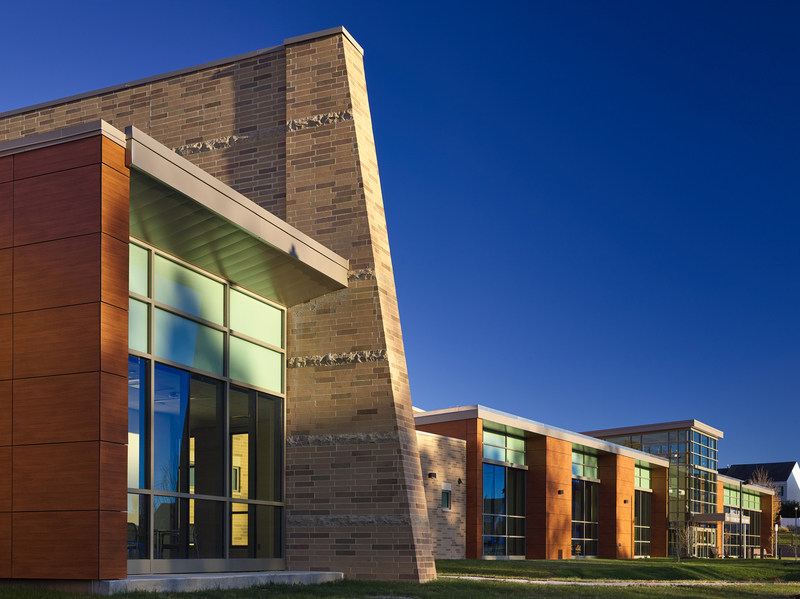 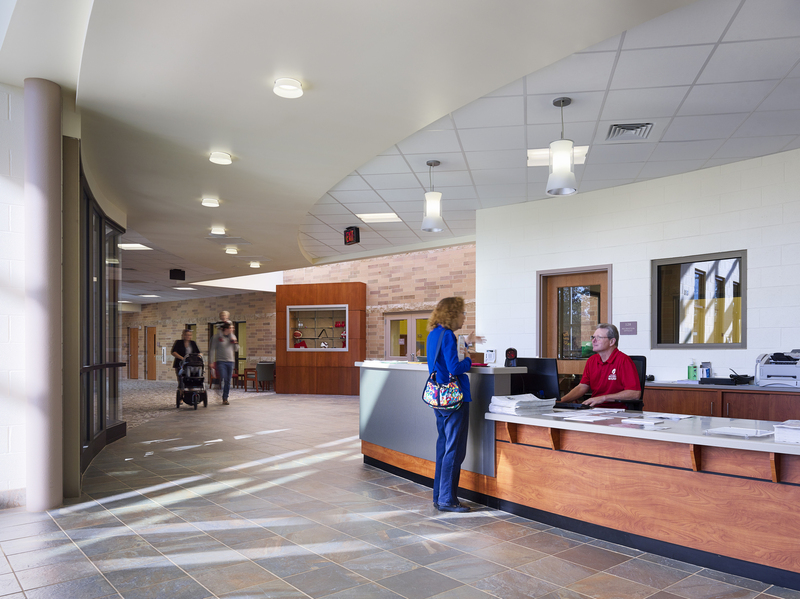 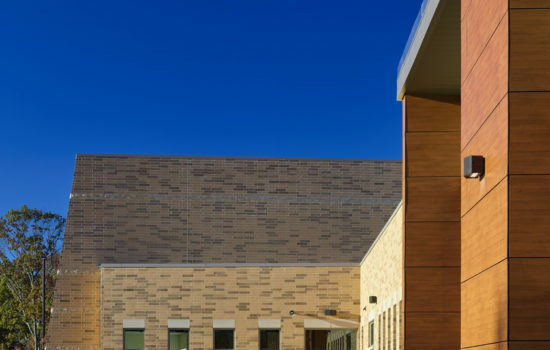 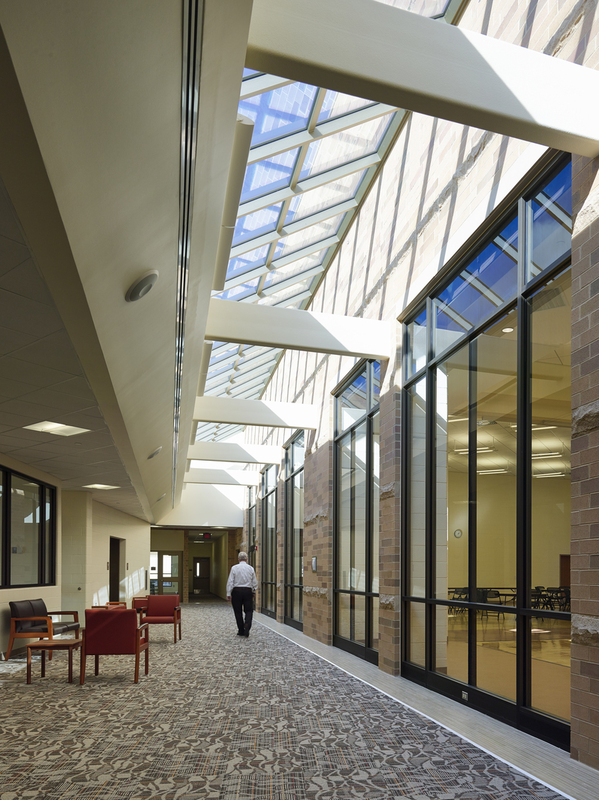 Inspired by its surroundings, the contemporary facility was built with renewable, local, and recycled materials. 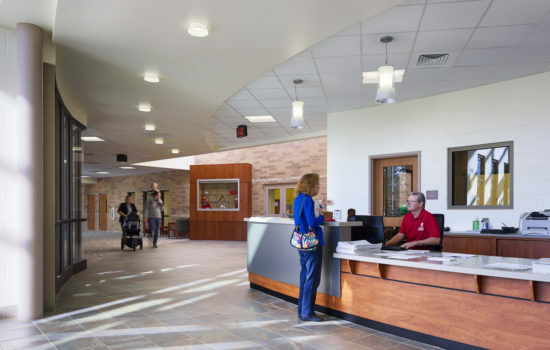 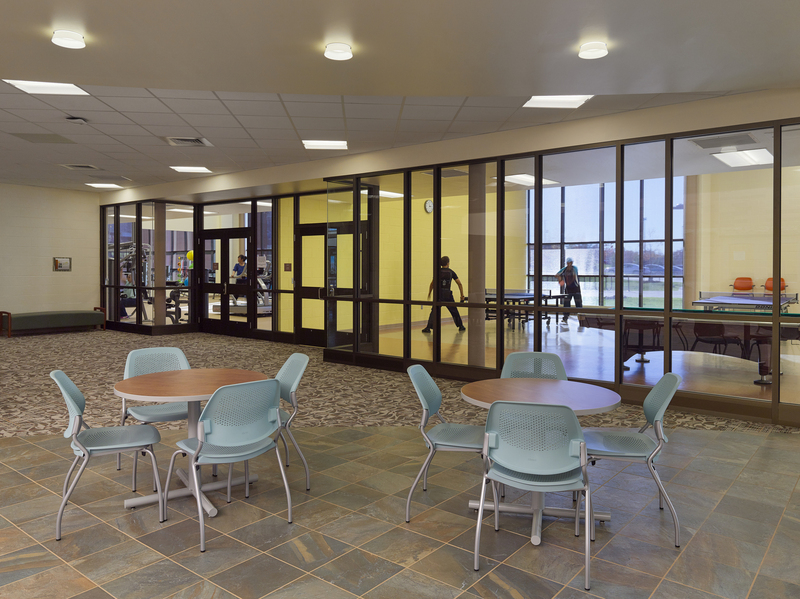 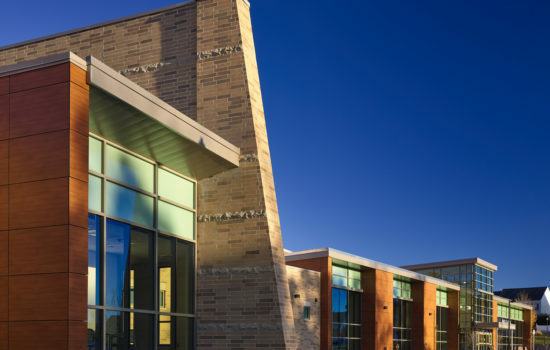 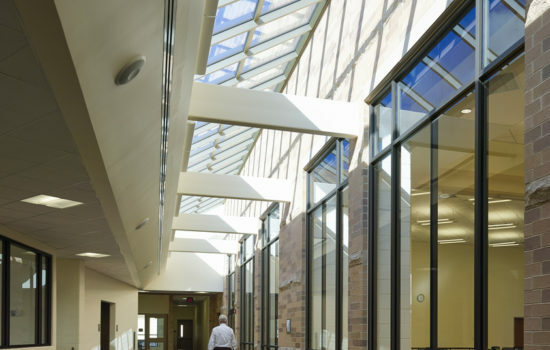 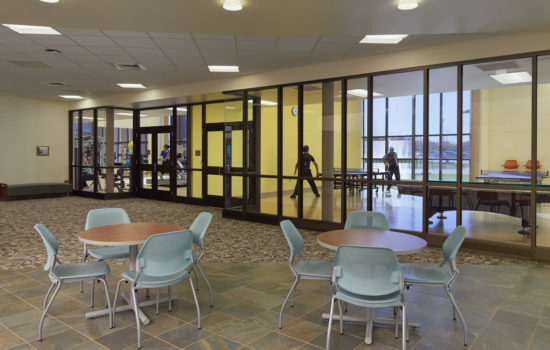 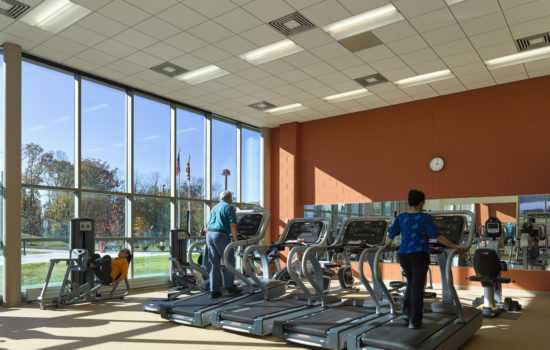 As a place for members of the community to connect with each other, the center offers a variety of structured programs such as culinary courses, weight-lifting classes, and youth/sports leagues. 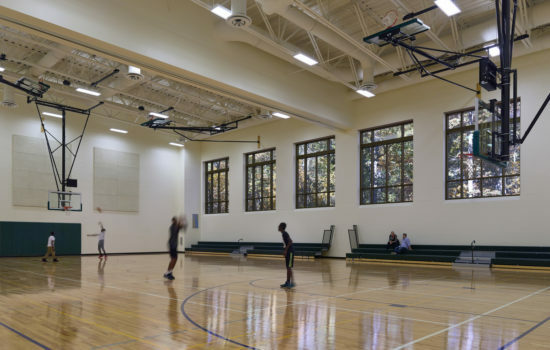 It is also equipped with two gymnasiums, a fitness center, and a pottery/kiln room. 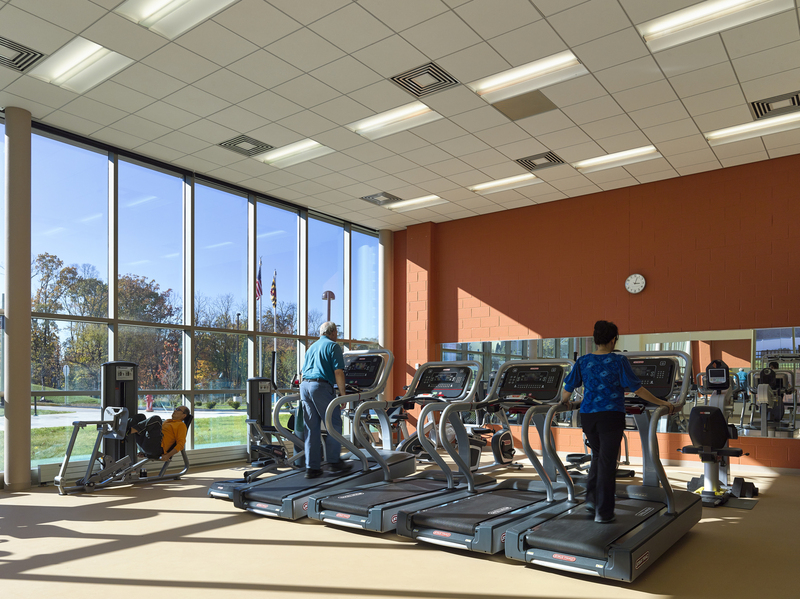 As the County’s Recreation Department continues to work with the neighborhood to develop a broad schedule of programs and activities, the new facility also includes a senior center, further enhancing the lives of all its patrons and serving Rockville’s evolving population.